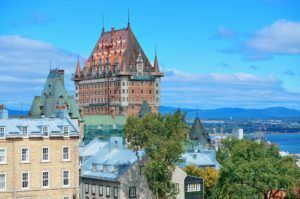 Canada’s second-largest province by population signed multiyear supply deals with six licensed cannabis cultivators for its recreational market, a move that provides much needed certainty for businesses and investors, analysts say. The six companies will supply an aggregate of approximately 325,000 kilograms (359 tons) of cannabis over the life of the deals. Quebec-based Hydropothecary got the biggest share. Hydropothecary will supply 20,000 kilograms of products in the first year, 35,000 kilograms in year two and 45,000 kilograms in year three. Supply in the following two years will be determined according to demand, but the company approximated supply for years four and five at about 50,000 and 55,000, respectively. “Assuming the mix of products supplied moves towards less flower and more value-added products as anticipated, (Hydropothecary) estimates the total volume to be supplied over the five-year term of the agreement could exceed 203,950 kilograms,” the company said in a news release. The initial mix is expected to be 80% flower, but that could fall to 30% by year five, CEO Sebastien St. Louis said during a conference call. “It’s a pretty good representation of where the industry will be going,” said Vahan Ajamian, a Toronto-based analyst with Beacon Securities, who called the announcement a “bombshell” because of the term and quantity involved. Hydropothecary is the only company that disclosed built-in supply escalators over the term of the deal. Financial terms of the deals were not disclosed, but St. Louis said Hydropothecary expects a weighted average net revenue of 4.40 Canadian dollars ($3.50) per gram. Canopy Growth spokesman Jordan Sinclair said Quebec’s announcement is a major milestone. “It moves us a step closer to having products on store shelves through a major distributor in Canada’s second most populous market,” he said. Aurora will supply at least 5,000 kilograms of cannabis each year from its Quebec production facility. MedReleaf committed to supplying 8,000 kilograms of cannabis products per year. Tilray affiliate High Park Company will supply the Quebec market with 5,000 kilograms of cannabis annually. Canopy Growth committed to supply 12,000 kilograms of high-quality cannabis products. Aphria agreed to provide up to 12,000 kilograms of cannabis annually. The province introduced legislation that would funnel retail sales through government-run stores and ban consumers from growing marijuana at home. Quebec has the lowest number of patient registrations per capita in Canada – just 75.8 registrations per 100,000 people. The province’s recreational market could become Canada’s second largest after federal legalization, according to analyst projections, worth up to CA$150 million ($120 million) in 2019. Estimates of rec users after legalization range from 1 million by the PBO to over 3 million in 2019 based on polling data.